Our Skunk lovers enjoy our Super Skunk cannabis seeds, but we want to share with you what we offer is the vamped up 2.0 version. 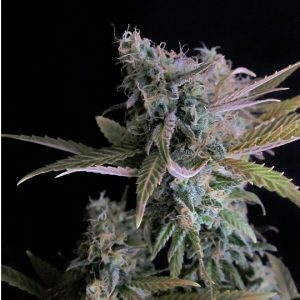 You can buy Super Skunk seeds from us and get the ultimate deal or buy them elsewhere and feel disappointed. The amount of product from each of this cannabis seeds is amazing, and you will be quite impressed with how simple it is to grow your own. If you decide to grow Super Skunk outdoors, you need to think about the Skunk smell though since the parents are Skunk #1 and Afghan. It can be a giveaway that you are growing cannabis seeds. If you grow them indoors, you need a good quality filtering system so the smell of Super Skunk marijuana seeds aren’t all over your home either. The smell may be skunky but the taste is going to be smooth and delightful. It has an orange citrus flavor. Even though it isn’t hard to grow Super Skunk weed seeds, don’t ignore our tips. In addition to the filtering system, you should include fertilizer for the soil. This can boost your yield per plant as much as 30%. It can also help you to enhance the taste of the product once you harvest it. The buds of Super Skunk seeds are heavy and they are large. This means they can hold lots of resin so you don’t need to plant too many of these marijuana seeds in order to have a great outcome. Since the strain is powerful, we suggest vaping it. Our growers guide gives you plenty of information so please read it before you plant your cannabis seeds. Since Super Skunk marijuana seeds are found all over the world, it isn’t hard to get. Yet the fact that it has won so many awards means that it is also in demand. Sadly, when you buy unrehearsed, you aren’t always getting the best price or product. Our seed bank though is different. We want our customers to be content and to come back every time they want any of our more than 100 cannabis seeds. We work closely with breeders and help you get the right product to grow. Your seeds should be ready to harvest in about 8 or 9 weeks. They are going to offer about 450 grams per square meter. Growing them outdoors though can give you up to 800 grams per square meter so if you have a spot where you can grow them well outside you should do so. There are quite a few strains of cannabis out there, and one that is highly regarded is Super Skunk. This is a hybrid mix of Skunk and Afghani. The leaves of these plants are both light and dark green. There are fine hairs that develop in the weeks leading up to the harvest. They are various shades of brown. This strain is often grown in Colorado and Arizona due to the warmer temperatures it needs to grow. How much THC is Offered with Super Skunk? There is a high amount of THC found in Super Skunk cannabis. This ranges from 19% to 25%. It all comes down to the quality of the seeds you used to grow your plants or the quality of the product you purchased. Take your time to find a great product out there. The buzz will come on very fast for the mind and the body. It is going to help with relaxing and to make a person more creative. Using too much at once can result in someone experiencing dry eyes or dry mouth. Individuals with seizure disorders or paranoia shouldn’t use this strain of cannabis in any amount. Doing so can cause those symptoms to get worse. What does Super Skunk Smell and Taste like? As you may have guessed, the smell is very strong and skunky. It is hard for many users to get beyond that to even give this strain of cannabis a chance. The smell is going to offer citrus, pine, and some Earthy undertones. While the smell and the taste aren’t the most appealing, the benefits from this type of marijuana can make it all worth it. Due to the very strong odor, it is very difficult to hide growing pot plants outside. You are better offer getting a great ventilation system and growing them in your home. If you live in a humid region, make sure you also have a dehumidifier in place. These plants thrive in dry conditions, and humidity will cause your yield of resin per plant to be greatly reduced. It takes between 8 and 9 weeks for the plants to be ready to harvest. While you won’t get an abundant amount of resin from each of them, you have to remember the potency is very strong. You only need a few plants to get plenty to have for personal use.